Sometimes hearing about the experience of others can often help you understand why it is important to talk about, and prepare for, end of life, death and bereavement. We would like to thank those that have shared their stories so we can help more people to be comfortable with the topic of death. Please get in touch if you would like to share your story for our blog, in the hope that it will encourage others to talk, write, plan, care and share. "My brother had 3 live kidney transplants. The one I gave him lasted 18 years. Dad’s lasted 10 years and mum’s 5 years. Every time he got a new kidney, he got himself a new wife too! Don’t know if it’s connected but we found it funny. When his third kidney started failing, he decided he didn’t want any more transplants or treatment, but he waited to say this until my wife recovered from cancer. Toward the end of his life, we talked about what pub his wake should be in and he said he’d sorted his funeral out himself. We laughed and smiled until the end. I even joked with him that he should give me my old kidney back!" "Mum didn’t have a will, but she made her funeral plans very clear. She left somethings to her great-grandson, but my sister took all of mum’s money and what was left had to be sold to pay for mum’s funeral and debts. We don’t speak anymore and the problems it caused our family was huge. I still feel angry now." “Things at home weren’t going too well. Me and the family were all stressed. The District Nurses were not coming as they should and I suppose we didn’t feel as supported as we should have been. I tried Cannabis oil but it doesn’t work. I just think this is a money making racket. At first I didn’t understand about Woodlands Hospice, I thought it was a place where you went to die. Straight away I found it helpful and the information, advice and support from everyone was really good. I was really worried about my wife and children and how they were finding it hard to deal with everything, my son especially was struggling. I’m relieved that both me and my family are being supported and Jan from family support has visited every day and even took my wife in the café to give her a chance to talk on her own. The nursing staff have all been great – nothing is too much trouble for them. The doctors have also given me the honest answers I have asked for and the nurses have took time to help my wife understand the medication and how to administer it, times and how many. While I have been at Woodlands, we arranged for a visit from the undertaker. We have been able to talk to them about what I want and the financial side too, this has helped the family understand what is needed and how to deal with putting things into practice. I have found my time here to be really happy and I am grateful I have been helped in so many ways. I have received lots of support and not just thrown on a heap. My son loves it here too as the doctors are very attractive. It’s such a personal service, everyone knows your name even down to the bus driver. It’s second to none. Woodlands doesn’t need to change anything, this place is perfect. I feel I have been given a new lease of life since I’ve come here." "My daughter is a teacher, and there was a little girl in her class that died a few years ago. Her year class are now ready to leave school and they are having a special event for that year group as they’ll be leaving the memorial garden behind. Letters went out to parents first telling them about it and they handled it really well. You could tell it was borne out of experience and compassion." "I’ve just buried my two sisters and it got me thinking that I need to get organised. That’s three sisters gone now out of seven. We’ve buried one after the other, so it’s got me thinking now." "My partner is mentally ill and has made it clear he wants a funeral where only people who bothered with him attend. He doesn’t want people who don’t knock at our door now to stand and cry over him when he’s gone." "So I had a patient who was quite young who had 3 children and didn’t want to discuss with any of those children what happened after she died, that wasn’t something she felt comfortable with. But equally hadn’t broached it with any of her family. She had in mind who she wanted to look after those children, but hadn’t had any conversations about it. The person she had in mind lived quite a long way away and by the time they came to see her, she wasn’t well enough to have any discussions. Ended up in a really difficult situation where those 3 children weren't going to be able to stay together. And nothing had been decided as to who they were going to live with. That then created a massive problem after she died for those children who then faced a lot of uncertainty as to what life who then look like for them and were they were going to live." "When I was 7, we were doing some school work on World War 2 and told to ask our grandparents about their experiences. My nan was about the same age during the war as I was when doing the report and the story she told me will stay with me forever. She lived in Anfield and during one of the bombings, the local cemetery was hit. She had gone out with her older brothers looking for shrapnel and other weird things when she came across a coffin lid, which had been thrown up from the explosion. She said it had bloody scratch marks on the inside. To this day, I still don’t know if she was trying to scare me or was actually telling the truth. When I got home, I made my parents promise to make sure I was definitely dead before they buried me. Since then, I’ve been quite open about discussing death." "I think control is important. Very often the person who might seem to have the least control is the person going through it themselves. For whatever reason, often with the right intentions, families can be overprotective. but the person going through it may have internet access and be able to look online and find out information for themselves. People do keep information for protective reasons, but it’s not always in the best interest of the person. No matter how ill they are, they might be able to access some information and regain an element of control." "I had to pawn my jewellery to help pay towards my brother’s funeral. Our family has a strong connection and everybody did their bit to help." "It used to wind us up so much that everything was so medicalised. In the meantime, Jenny was still living her life. The medical side said dying, we said living. We had to really fight for a social worker for that aspect of it. You’re not down one path or another – you’re on a journey." "Because I’m now on my own, and to make life easier for my next of kin, who is my cousin, living down south, I took out a funeral plan and I’ve done a will and power of attorney. I don’t want to go for a long, long time but I want to know everything is in place and sorted. I feel more settled that I’m choosing what I want and I’m being my usual determined self, but I’m pleased that no one will be making decisions for me. I make my own decisions. I want to be cremated and I know exactly where I want to go. It’s all in my will. I know more people at Section 8 in Springwood under the weeping cherry now than I know alive! My parents are there, I’ve got an uncle and aunt, cousin, one of my neighbours, and a few by marriage." "There were three widowed men who would often visit Springwood when I worked there, who formed a friendship. We’d call them the Last of the Summer Wine. They’d meet up every day in the waiting room. It was probably a comfort for them. But they only do it for so long. It tails off to maybe once a week, then once a month, until eventually they get on with their lives." "My 84 year old neighbour is all organized and has her funeral plan, power of attorney and will in place, but she can’t make her mind up about burial or cremation. At the moment, a dear friend of hers works at the crematorium so if he’s still there, she wants him to be there and look after her. She loves the bones of him. If he’s not there, she’d like to be buried with her parents and brothers in the cemetery." "I lost my dad 11 years ago now, and my mum 18 years ago. There’s not a day goes by when I don’t think of them, we talk about them all the time. But you do start living your life. You move on." "I arranged my friend’s mum’s funeral who was being buried in St Mary’s in Woolton. This was something I haven’t seen before; it was a bricked, double grave. Going back to the 1960s, my friend’s grandparents and four other members of the family travelled to Austria to visit extended family and their plane crashed and they were all killed. Now they’re all buried in this grave and there was room for two more. My friend’s mum now rests there and she wants her brother to go there too. She wants cremating anyway so doesn’t want a space there herself." "My mum was the first one in our Catholic family to be cremated and up until so many years ago, Catholics couldn’t. We’ve got a plot in Allerton that’s full, but my mum wanted her ashes in Springwood opposite where I worked at the time, where the flowers are. My mum and aunty Barb used to have this discussion in the kitchen talking about their funerals – my dad used to walk out. He wouldn’t entertain it! My mum said after she’s cremated, she used to say “don’t go wasting your money on those soft roses and plaques. The plaques rot. The roses die. Go and spend the money on a new coat or dress or something. that was my mother, it’s where I get my vanity from!" "Communication is so important – people can make awful assumptions if they don’t understand what’s happening." "My two cousins live miles and miles away and my uncle’s in hospital. I’m the one who visits every day and I’m the one who has said it’s DNR. We have talked about it as family, but they don’t see him very often, so it’s me who has all the contact." "When my nan died, she’d organised to have her ashes scattered between the Mersey and Jersey Channel, so she could be by all of her kids; my mum, aunty and uncle live here and three uncles live over in Jersey – so she wanted to be near them all." "Recently my grandma was unwell and I could tell she was close to dying. It was hard for me to tell my mum that though, that this was happening. But we did have an open and honest chat and I think it opened up a lot of doors after that. We realised that grandma didn’t want to be here – she wanted to be back in Pakistan but probably wouldn’t be fit to travel within the next couple of months. She’d been in hospital a number of times, but once she was discharged, on this occasion we openly talked about the fact that she was not going to be well enough soon to make 8 hour journeys abroad. Actively, because we had those discussions, we were able to get her there and the plan is we will all visit her in turn but she’s happy being there, back at home. From the sounds of it, she is now too unwell to travel back. That would only have happened if we had openly talked about it. I’m going over in July and make the most of the summer there with her. She feels quite split as she has two of her kids living here and four over there. She spent years with us so I think she felt it was time to balance it more." "Sometimes I think about my funeral. I want everyone to wear bright colours and I know exactly what songs I want played too (Good Riddance by Green Day and Take On Me by Reel Big Fish in case you wondered). Cake will be served afterwards and everyone will, of course, cry and say how great I was. It will be a beautiful day, and if the sun doesn't shine then I'd like it to tip it down with rain all day long. You may think it's a little morbid to picture my funeral when I'm still young and in excellent health (I'm 29 and fit and well). But the truth is that death is often a difficult subject to avoid in my line of work. I work on an ambulance, and I rub shoulders with the sick and the dying most days of the week. Sometimes I stare death in the face, literally. And when you do that for a living, as anyone working in a healthcare profession will know, you develop quite an upfront attitude towards death. Because it's happening, whether we like it or not. At some point, whether it be a long way off or sooner than we think. It's one of those things that no one gets to escape, no matter how long and hard we hunt for a Philosopher's Stone or a really, really good BB cream. It's probably pretty easy to pretend death isn't coming for you in your day to day life - unless you spend your day to day life working in a hospital or like me, on a moving mini-hospital. And then it's a little harder. So, I plan my funeral in my head and hope that when the time comes, I will write some of it down and have some level of control over it. But I know that really, I could fall down dead and not get a chance to put anything in place. And then an awful song might get played at my funeral and I will have to just live with it (or die with it more accurately). You hear about the slightly comical situation in which a normally healthy person suddenly clutches at their chest and lets out a groan and then turns up their toes without another word. But here's some news you may not expect (and that I certainly didn't expect the first time it happened in front of me): it really does happen. It’s like - a thing. Falling down dead. I'm not saying it's time to start making a will right this second (although you’re never too young and it’s never too early) but it does mean it's okay to think about these things. You like to have a certain level of control over your life, right? After all, it's YOUR life. What about your death? It's really okay to think about these things, and talk about them too. Keeping the subject all taboo and hush-hush isn't going to make it go away. Sometimes, for fun (! ), I sit down and think about what I might die of based on what my grandparents died of. I roped my housemate into this game once too, and the evening ended with us announcing 'heart disease!' and 'cancer!' like we were playing Top Trumps. Then we laughed about it. Because, why not right? If I was suffering with one of these diseases, I like to think I could still laugh about it. Because again, being all sombre isn't going to make it not happen. In my job, I regularly come into contact with people who are living with illnesses that will eventually kill them. I won't lie - it's difficult to know what to say to them, or what tone to strike. Often, they dictate the tone, and I find that more often than not, they make jokes. Octogenarians (or older! ), whether healthy or sick often wag their finger at me as if scolding me and tell me 'don't get old!' and we chuckle, and I say 'I'll try not to!' We smile at each other, and it is usually a sad smile, because one of us knows they have nearly reached the end and the other knows they will one day be in the same boat. If you CAN see death coming then amid the jokes you may or may not make, it's a good idea to start planning for it. Make a will so that your family are well protected after you've gone. Get a DNAR (Do Not Attempt Resuscitation) if that's what you want, otherwise should you drop dead in the street one Tuesday morning whilst out shopping, green-clad people like me will turn up and start jumping up and down on your chest like there's no tomorrow. You may not want that, and this is where the Do Not Resuscitate Order comes in. It gives you some dignity and it might reassure your family too, so talk to them about it. That way, when we turn up in our ambulance, they can wave the document in our faces, and we'll stand down immediately. Discuss death with your GP. Discuss it with your family and friends. Make the jokes if you want, or be really sombre about it - it's your prerogative. After all, it's YOUR death. And like life, you can approach it how you will. And like life, approach it loudly and unashamedly. Because like life, it WILL happen. It's okay to be afraid of death. It is scary. I get scared about it every day (and I don't mind admitting this to my patients. After all, there's no point pretending to be a robot, right?). But don't be afraid to talk about it. And don't be afraid to tell everyone what song you want at your funeral, and what sort of desserts you want. Mine is loud American ska-punk and double chocolate. What's yours?" Christina Owen, ambulance worker, photographer and blogger. Christina co-runs a blog at 100Happy, which is all about finding the little moments of happiness in life. "'I have come to order some flowers for Jenny’s birthday’ I said, trying hard for my voice and demeanour not to betray how I felt inside.‘Purple, pink and glitter?’ said the florist.I nodded and smiled ’Can I order an arrangement for her anniversary also?’I was touched. March is a special month to us. It is blessed and cursed. The winds of mid – March brought Jenny to us in 1986, and last wind of March, on the last evening in 2008 carried her away from us. My love for Jenny knows no barriers of time and space, life or death. I explain to people ‘as you think of your children often, so I think of mine’. I have two children, Robert and Jenny. They are my pride and joy. I have many reasons to be proud of them, particularly how they fought cancer. Robert had testicular cancer, aged 22. Fortunately, he made a full recovery and now has two infant sons. Jenny fought myelofibrosis. She lost the battle. Life takes us along winding roads, balmy sunny lanes, calm waters, and, into dark corners. Jenny’s journey was pleasant, happy, hopeful, bumpy and short. She travelled a road filled with love, hope, and in her last year, pain, disappointment, and, (Jenny, being Jenny), plans for a future that she would not accept would never happen. She had as much business being in this world as anyone else. She was not going to lose her place in it without a fight." "I am bursting with pride to tell you about our beautiful (inside and out), kind, caring, tenacious, brave and sweet daughter. The (barely) 22 years that she was with us was ‘Camelot’ in the lives of the Percival and Parker families. ‘Camelot’ can never be recaptured, but it can be held dearly by all who encountered it. It can be learnt from and remembered with fondness, and, at times, bewilderment, confusion and disappointment. A holy grail does have a chance of being found in our Camelot. It contains a cure for Myelofibrosis. This is the name of the dragon that slayed our beautiful damsel in distress, Jennifer. (Jenny would like this comparison, her nickname as a cheerleader for the Widnes Vikings Rugby League team was ‘Princess’). She joked about wanting to live in a castle one day. She inherited her almost Don Quixote – like optimism and zest for life from me. Not even Myelofibrosis will rob me or my family of it. Our story is one of hope, a legacy left by a young woman whom we watched preciously guarding every breath in her body. Her legacy is still unfolding. Images of heroines fading away with ‘consumption’ should be consigned to Victorian novels. I cannot get over the fact that in the 21st Century, we still have diseases that are incurable and take away fit young people. Jenny succumbed to a modern day ‘consumption’. Her last control over her life was that it should end in her own living room, and not in the ward where she had spent the last ten months of her life. As I am sitting writing this and watching TV, I am feet away from where she passed in the loving arms of her family. To my husband, Derek and I, our living room is at one and the same time our sanctuary, and also the place where the biggest trauma of our lives took place. I picture Derek doing relaxation exercises with Jenny. I remember the pyjama party that Jenny had from Willow Foundation (a charity for young people with serious and terminal illness) four days before she died. She had originally planned to go away for a theatre break with her wonderful boyfriend, Terry, but became too ill. Then she planned a weekend nearer home, again she became too ill. Her friends suggested a pyjama party. This was youth at its most creative. I am privileged to have met the most amazing young people who loved Jenny. I picture her devoted brother, Robert, and his wife, Helen visiting her. Robert, at five years her senior, is testimony of the other side of the coin. This is a reason why we have to count our blessings. One of our children survived, although lightning did, indeed strike twice. I am determined that even if Myelofibrosis is lurking in the DNA of any of our descendants, or relatives, that it will be diagnosed earlier and that the outcome will be better. I pray that the disease will never visit our family again. It casts a shadow, the dragon breaths fire in our direction. As for me, if I could have swapped places with Jenny at any time during her illness, I would have jumped into the bed and embraced my fate. I begged God to spare her and take me instead. He didn’t! Now I thank Him for giving me the greatest gift of all, the gift of life. I realise that I have to make the best of my own life. I cannot skulk in a corner or hide under a blanket. To me, this would be a slap in the face to Jenny. How can I not value with every part of me the very thing that Jenny fought so hard for? It is not always easy. When everyone moans about another cold, rainy summer’s day here in the UK, Jenny would have loved to have been here. I tell her all my news. I bid her ‘Good morning’ and ‘Good night’. I used to text her phone, but now I only do that on special occasions. (She would have laughed at that). We live in Widnes, a town near Liverpool, England. How could a girl from such an ordinary place end up with Myelofibrosis diagnosed at the age of 21? We were told it was a one in a million chance. Along with this, we were told that it would be treated in the same way as Acute Myeloid Leukaemia, with aggression. The snag being, that the treatment in Jenny’s case was ‘experimental’. A bone marrow transplant was our only hope for Jenny. Her brother was ruled out as a possible donor as he had had cancer. We relied on strangers to save our child. Eventually, the disease took over, and it could not happen. Heroes come in all guises. Her boyfriend, Terry is one. They had only been going out for nine months when Jenny went into hospital. We couldn’t have blamed him if he had walked away. It goes without saying, that family members are heroic some, more than others. But they all found their inner hero in some way. Colleagues of both Derek and I were supportive. My boss, Grahame continues to show me support. This included my request to be treated as ‘normal’ and to let me know if I ‘lose touch with reality’. It took five weeks in hospital for Jenny to be diagnosed with myelofibrosis. She was actually relieved that she was ‘getting somewhere’ after almost seven years of sporadic and worsening health problems. Looking back seven years prior to her passing, severe glandular fever at the age of 15 seemed to be the catalyst for this. Jenny was in hospital for weeks with this. The staff on the ward said it was the worst case of glandular fever that they had seen for years. She had complications with it, including bilateral Bell’s Palsy and skin lesions. The Bell’s Palsy mainly disappeared, but the skin lesions did not really go away. It was put down to a reaction of virus and medication. We never really knew. It was decreed that she must be allergic to Penicillin. She never had been previously. I had my doubts. Jenny’s immune system never seemed the same after the glandular fever. During the next almost seven years, she would see a dermatologist intermittently for skin lesions. Folliculitis was mentioned. As a dance student, the scars on her legs made her very embarrassed. She developed extensive warts on her feet, and a few on her hands and knees. They were seen and treated (in part). It was not picked up until her final year (that it could be a sign that her immune system was faulty). The sores culminated in two painful and large leg ulcers a year before she died. It is not ‘normal’ for a young dancer to get leg ulcers. Still I did not feel as if we were really listened to. In the couple of years following the glandular fever, Jenny developed a severe kidney infection hospitalising her for weeks. The following year, a cyst was drained. Intermittently, we would see our general practitioners with Jenny having various infections, each treated in isolation. I would start every consultation with ‘She hasn’t been right since she had glandular fever….’ There was only Jenny, myself, and close family putting together a whole picture. Despite the fact that I am a senior lecturer in mental health (a mental health nurse) and have some knowledge of physical health problems, I felt disempowered and as if I was being judged a ‘pushy. or needy mother'. Jenny was a dance student. She was at university. We saw a pattern – if she had a show and rehearsals since the glandular fever, she would perform and then be exhausted, often unwell. This is what Jenny’s life had become like. We hold no anger towards these doctors that had seen Jenny in primary care. We hold in our hearts the belief that clinicians on the whole try their best. Jenny had lost faith in the medical profession. I had to virtually drag her to the surgery. However, I do believe that a lack of awareness of diseases such as myelofibrosis, and other serious illnesses in young people let Jenny – and us down. I do not want any other family to go through what we went through. Had she been diagnosed earlier, things may have been different. It wasn’t to be. I could not have expected her to be diagnosed in primary care services, but the pieces of the jigsaw were not being put together. I have so much to say, but I will just make a few more observations. We have to be open to the fact that Jenny’s legacy could contribute towards the evidence base of myelofibrosis care. We were lucky that the team caring for her fought so hard. Her consultant sought advice from top experts in the field. She was given expensive treatment, including Imatinib (Gleevec). We were all hoping for a bone marrow transplant. There were things that could have contributed to Jenny’s quality of life. She was not with people her own age. She often did not have her own room. She spent most of the time in hospital for the last ten months of her life. I felt as if I had to fight for her to come home with the equipment and dignity that she deserved. We noticed that some staff seemed to distance themselves emotionally from Jenny and us when she became terminal. We kept this to ourselves, until other people in the family said the same thing a couple of years following her passing. We count our blessings. We have the NHS. Once diagnosed, all of the stops were pulled out to save Jenny. She appreciated this. She hardly complained. She was dignified. We spent long hours together. She had to grow up fast. In ten months, we got to know the woman that she had become. She has taught me so much. She was a philosopher in her own way. She was full of wisdom. One thing that she felt very strongly about was that most young people don’t know how lucky they are to have their life ahead of them. They should live life to the full. When my sister, Clare looked in the mirror in the hospital room and said ‘Oh look, I have another wrinkle’, Jenny replied ‘I wish that I could live long enough to have my first wrinkle’. 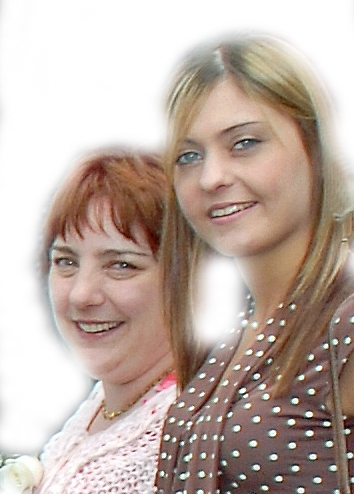 Clare was a tower of strength to Jenny and us. She herself is fighting breast cancer at 43. Jenny has been her inspiration. Clare is doing fine. There were over 400 people at Jenny’s funeral. The police put cones outside the church. I was overwhelmed by this show of love for her. Her friends have kept in touch and showed us such kindness. Derek and I realised early on that Jenny was not just our Jenny, but everybody’s Jenny who loved her. Also, we felt responsibility towards these young people, including her cousins. She was probably the first of their peer group to pass away. How we reacted would impact on them. A couple of questions swirl through my mind. One is: did glandular fever have a link to Jenny developing myelofibrosis? ( On my hunch that Jenny may have the virus in her last months, I requested that she be tested for it. She had the Epstein-Barr virus. Had it ever gone away?) The second question that haunts me is that Jenny was born a month before the Chernobyl disaster. Is there a cluster of haematological cancers in our part of Europe in her age group? The other question is that Widnes is a chemical industry town. Until Jenny was two years old, one of the chemicals that Derek came across in his job was Benzene. Perhaps I am clutching at straws. Perhaps it is all in the genes? Thank you for reading our story. Jenny’s consultant haematologist has let us know that the team are still learning from Jenny’s notes and that she is helping others. This means so much to us. Jenny’s mission in life was to help others. She would be proud. I like to think that she has contributed to finding the ‘holy grail’ of a cure for myelofibrosis. 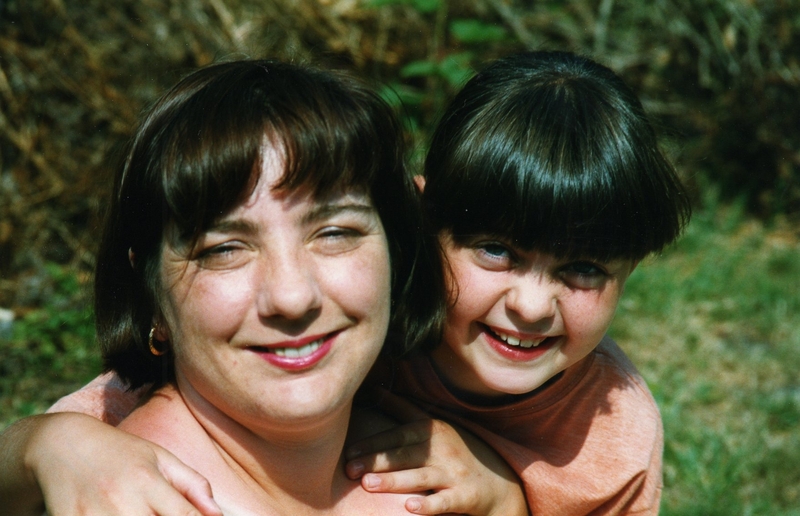 "I cared for my Mum over 20 years ago, she had cancer at the time we did not know to what extent it was. I was the sole carer and when I look back I just don’t know how I did it. There were days when I was so exhausted but I knew I had to keep going as it was my Mum’s wish to remain at home. My Mum took hold of my hand, looked in to my eyes and said “Please do not let me go anywhere I want to stay at home." I knew there and then I had to do my best to care for Mum at home. My Dad just could not cope with the situation and withdraw leaving me to carry on caring for Mum, she would often be restless and thinking about it her personality and confidence changed. I found out when Mum had died that she had brain met, I often think it may have been different if I had known that, I would have had a greater understanding of the changes in Mum’s personality. My job as a ward clerk helped me, it was busy and I didn’t have time to think about my own problems. Towards the end my I took leave to care for my Mum the District nurse helped with practical things and medication. G.P. was great and gave me home number in case of emergencies I thought this was really caring. My sister who lives abroad came home to help as Mum was getting worse. Mum said to me "you will hold my hand" – I knew that she was asking me to be there at the end. We can laugh now, but because we never had the experience of being with someone who was dying, we did not know what to expect and kept hovering and checking Mum it felt like she would hold her breath for such a long time and we would look at each other, or suggest ringing the District Nurse we did this for at least 2 hours. My Mum did die peacefully at home, but my Dad could not face seeing her and left things for me and my sister to sort out. "My auntie was in her 80s and she was in hospital with septicaemia. One son lived near Portsmouth and the other one lived half in America, half in London. Me and my sisters were the ones who kind of looked after her day to day and were on hand. She was in hospital when she became unconscious and I said to the nurse in charge, “My auntie is dying, isn’t she?” As a mental health nurse, working with a lot of people with dementia, I can tell when somebody is dying. I said “it will take a while for her sons to get here and to me, it looks like she won’t make it through the night. Somebody needs to ring her sons up.” I didn’t want to be the one to ring them up and say “your mum is dying” when the professionals were sitting on the fence. Eventually, things started moving and my auntie lived for another 36 hours. But her sons needed the time to get there and we needed someone to say officially that she was about to die." "People are worried about the things they have no control over, so to think about it and put a bit of control in, might help a bit." "Jackie was amazing; so funny could work a room and bring warmth and laughter through her vibrant caring personality. She loved to dance in a really mad and zany way and really didn’t care who was watching .Jackie had a wonderful quality of making you smile she just liked people and would love to listen close friends and family always use to confined in her you knew you could trust Jackie . Jackie was talented in so many ways a great athlete, footballer, story teller, and my goodness could she wear a dress, had a great sense of style! Jackie was a mum, wife, sister and friend. Sadly our parents had died some years ago so Jackie being the eldest meant she was the Matriarch, the go to person, the woman that loved us despite our faults. Jackie had a challenging job and managed a team of people working on a local and international level Our world was shattered when Jackie was diagnosed with cancer after many trips to GP and A&E. She was in excruciating pain. We were told Jackie had a lesion on her shoulder. None of us knew what that meant however I did know this was not good and wanted to ask do you mean a tumour a growth but kept schtum, as we were all trying to remain hopeful and positive. We were seen by a Dr at hospital and specialist palliative care nurse but still not given a diagnosis this uncertainty was heavy and took its toll as we are family who have had a lot of loved ones who have died from cancer. Jackie received a letter to go to Clatterbridge for an appointment with consultant. When we arrived we were told to go to the ward and to our surprise Jackie was admitted and was put on bed rest right away as she had spinal met which had a risk of causing spinal cord compression. I actually felt sorry for the nurse on duty who assumed we were aware of this. I will never forget Jackie’s face the pain of seeing her so brave taking this information in still not knowing if this was curable, with a heavy heart I knew and wanted to ask so many questions and all the time swirling round was the thought but does Jackie want to know, does her beloved hubby want to know and her darling daughter. We all just held each other comforted that no matter what we had each other in that sad awful desolate moment .We needed Jackie to feel our strength our love we would not let her down. The nursing team were kind and did their best to provide support tea and biscuits always seem to appear but for me the fact that someone was trying to reach out meant a lot. Jackie lived with cancer for 2 years and when I say lived I mean lived her journey was one filled with physical pain and with amazing Dr who did everything possible to try and eradicate the pain she was living with. Who offered emotional support that showed a genuine understanding and compassion that was humbling and made you feel good about the medical profession. Jackie inspired us all to do more with our short time on this earth, to plan for today and take pleasure in simple things, to laugh in the face of death and to take control. Jackie talked a lot about the people she loved and was able to ask each of us to continue to care for one another, she told me where she would like her ashes to be where she would like to be at the end of her life. It was important to Jackie that cancer did not define her; she did want any drama. Just want to live as long as she could. I remember a particular moment we were standing up in the lounge she looked me square in the face and said “there’s no more treatment –nothing to be done. The emotional pain I felt was raw so I can’t even begin to imagine what it was like for Jackie .We just stared at each other I felt a bit numb but knew I wanted to do something and then in unison we just hugged when I say hugged more like held each other it felt so comforting the power of human touch should never be taken for granted in that moment we gave each other strength and hope. We are sisters after all - on this inevitable journey together- so we say bring it on!!" "Some people think a DNAR/DNACPR (Do Not Attempt Resuscitation/Cardio Pulmonary) means they won’t be treated. It doesn’t mean that at all. DNAR is a medical decision. There is no right to a clinically inappropriate treatment. Legally, DNAR is a medical decision and consent from the family is not necessary, though it is important to involve the patient and their family when making this decision." "In the olden days, we used to say “you know if your mum dies, you don’t need to call an ambulance” and that was our version of DNACPR decision. Now I’ll say, “Even though you know she just passed away peacefully, if somebody panics and they call an ambulance, the ambulance people haven’t got any choice but to get their electric shocks out and whiz your mum off to hospital.” Unless we have we have this conversation before. If you put it to them this way, it becomes less of an issue." "A mum and two sons came in to the Garston office to arrange a pre-payment plan over five years. I took all of her details, made the plan and then the son pulls out a death certificate and asks when the cremation will be. They’d taken the plan out for five years, so I asked “what cremation? She’s still alive and sat here!” He said “No, it’s not for my mum, it’s for her partner who has just died.” I told him these plans where for when you’re not dead, they are for before you die. He said they couldn’t afford a funeral upfront and wanted to pay £80 a month over five years for his stepdad’s funeral. Since we don’t offer personal loans, we weren’t able to help them." "A lot of people coming in to organise a pre-payment plan for their own funeral always walk in and say “this is a strange question to ask…” That’s what we’re here for and it doesn’t sound strange at all!" "Although my daughter was just 22 when she died and had left secondary school at 16, her cousins were still there and people she still knew. We got a lovely letter off the headmaster and he’d put something in the school newsletter. That meant a lot. It was in the school newsletter because it was a community issue. It was quite forward thinking. Lots of young people knew Jenny from in the community, school, or dancing and they’d need support too." "We recently had a patient in who had 2 children and sort of knew he was dying, which would essentially be over the next few week. He knew that the submission was for end of life care and subsequent to that he had already arranged his will, his finances, he’s got the solicitors in here while he’s at it. His family where otherwise really struggling, particularly his wife, she really struggled with how young he was. They were very dependent on each other, had been together since they were in school and so all of them as a unit were just really close. I guess it gave them the opportunity to delve into what would happen after because that had all been sorted. He was talking about his coffin and what sort of wood he wanted, the hymns or tributes he wanted. From that point of view, I found it very successful, in the fact that they got time just doing nice things and were able to arrange time for a picnic in our conservatory and that sort of thing. I guess it worked really well. It just gets rid of all the paperworky stuff you don’t really want to be focussing on at that point. Those sort of things stay with you." "I’m quite lucky; I’ve got two sets of grandparents, but one set recently said to me “Oh, we’ve sorted out our funeral. It’s all paid for. It’s sorted. It’s done.” They’re very different sets of grandparents but actually I think that it’s great that they’ve thought about it – they’re not in particularly bad health, I don’t necessarily know why they’ve decided to start thinking about it, but they have. They are quite modern in their ways of thinking – from their style of music to their taste in clothes. Every aspect of their life is so different to mine and my parents that actually, if we were to choose those things for them after they died, I think that would actually be quite difficult. I think it’s far better that they’ve gone “This is what we want and it’s all sorted.” Whereas my other set are in much less well health and have never thought about it. You think, “We can sort it out at the time”, because you just do but it would feel a lot better actually if they were to have a bit more similar approach to it and do some things themselves. Especially as granny has dementia and you think there’s only a limited amount of time that she can make those choices for herself and it would be far better to do it now, but they’re just not as open minded about it. I might tell them what the other set are doing to hopefully help encourage them to follow suit!" "My daughter was desperate to know what the process would be and how she would die, but no one would explain it to her and she needed to know. People are frightened to say it clearly and in a humane way." "I worked with a lady in the Hospice recently who was finding it difficult to talk to her family about her plans for her funeral. She had thought a lot about what she wanted but didn’t want to upset her family. I suggested she write her ideas down and that she could share them with me when I next visited. In discussing her plans, she had thought of lovely things to say about her family and how important it was that they were part of the planning; she was a very family orientated person. She told me that she wanted her daughter-in-law to choose her funeral songs for her because the daughter-in-law had chosen such lovely hymns for the lady’s husbands funeral. I talked to this lady about how her family would love to hear her tell them what she thought and that, although they may be sad, they would also be really happy to hear how much they meant to her, making her funeral so much more special to them." "I worked with a lady who had never wanted to plan for her end of life, she lived in each day and moment and loved to be surrounded by her children and grand-children. When she died her family struggled to think about what she would have wanted, what songs she would have wanted to be played, where she would want to be. Her family looked to the Hospice for clues and answers but no-one had had these conversations because it wasn’t a priority to this lady. I reiterated to this lady’s daughter that her priority was not where she would be or what songs would be played but how her family would be, how they would feel, how they would remember her. On discussing this, the lady’s daughter planned a funeral which celebrated family, grand-children, memorable songs and brought a smile to the faces of her family. We talked about this being the funeral that her mum would have wanted." "I worked with a gentleman who had no next of kin and no family around him – his priority was to have reassurance about what would happen to his property, his belongings and his money when he died. This gentleman used the free wills service to make a will but also to document his wishes for his funeral, to list the songs he would like, to give instruction to professionals as to what he wanted to happen in the event of his death. This gave the gentleman a feeling of power, choice and control and also ensured that he had peace of mind in knowing he had legalised his wishes through a solicitor and an executor. When this man died, people were aware of what he wanted, he had a beautiful service led by one of the Hospice chaplains and attended by many professionals who knew this man. The executor of his will worked with Marie Curie Hospice to ensure all aspects of the will were followed as closely as possible; even down to the man’s collection of spectacles being donated to a local vision aid charity to be re-used overseas." "I met with a gentleman who had initially been scared to come to the Hospice, he felt it was not the right place for him, he felt too well to come in. On admission, his pain was managed and his symptoms improved and it was soon time for him to be discharged home. We talked about his impressions of the Hospice and how these had changed, how he felt there was a lot of hope, interaction and brightness about the Hospice. We completed a Preferred Priorities of Care document and this gentleman told me that in the event of him needing symptom control again in the future, his preference would be to return to the Hospice and that, in the event of him becoming less well and requiring end of life care, he would prefer to die in the Hospice. This experience and conversation ensured that this gentleman was able to make an informed choice which could be documented and shared with professionals involved in his care." "My dad died 12 years ago. He was 63 and had been married to my mum for 43 years. He had Lymphoma. The disease progressed rapidly – 12 months from diagnosis to my dad dying.During his illness no-one spoke to us about end of life care or advance care planning and my dad didn’t indicate that anyone had spoken to him about it either. I suppose this was because he was being actively treated up to the day before he died, by which time it was too late to have any meaningful conversations. On the day he died, my mum was asked whether she wanted the doctors to continue life-sustaining treatment – this was in the form of a drip which was maintaining my dad’s blood pressure. By this time my dad was unconscious, so she couldn’t discuss it with him. She discussed it with my sister and I and we all agreed that the treatment should be stopped as we couldn’t see any chance of recovery or improvement in his condition. He died 4 hours later. My dad had never talked to my mum about what he wanted re funeral arrangements; we did what we thought he might want. I think we did the right thing; however, my mum has been left with a feeling of guilt about stopping the treatment when we did and has always wondered whether we did the right thing by him with regards to his funeral. Even now this still bothers her. I believe that it is important for people to consider what they might want in terms of their care towards the end of life, or funeral planning, when they are well enough to discuss it with family and friends. This would help with decision making when the time comes."